Although roulette game is definitely a game of luck, but human factor still matters a lot. Thus, there are certain psychological rules that are commonly accepted and should be obeyed by roulette players in order to make successful bets. The most important psychological characteristic of roulette is closely connected to determination. Indeed, it could be stated that this human quality is an indispensable condition for achieving success in any gambling game. Anyway, there is some specificity that concerns exactly roulette: here, all the players need to cultivate a strong will, tenacity of purpose and, what is the most important, sense of harmony and moderation. 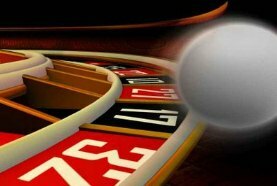 Only a person, who is able to be self-control in perfection, could manage play roulette successfully. Casino advantage: what does it mean for gamblers? Suffice it to recall the roulette history which is full of epic gamblers' fails due to their commitment to win all money at the table, and it becomes clear why this game demands the abovementioned qualities. Really, it is so easy to lose your head and go down the tubes while playing roulette. In order to avoid such pretty undesirable situation the first thing that clever gamblers should always keep in their mind is that initially casinos have an advantage over them. This advantage exists because roulette game provides roulette house edge for casinos which is, as a matter of fact, the difference between true payoff odds and payouts that players really get. Realizing this fact should help you to resist the temptation of hitting the jackpot at all cost. In addition, all roulette players are to become conscious and accept the fact that roulette wheel's and ball's spins are absolutely out of their control and they need to perceive that it is impossible to interfere the process by any means. If you are not such kind of people that could put up with the situation, then it would be much better for your wealthiness and moral wellbeing to play another casino game, e.g. Poker or Blackjack. This is a kind of games, in which an element of your playing skills matter a lot and you can control and influence the results easily. On the other hand, there is still a huge gap between the playing styles of a clever roulette gambler, who is perfectly conversant with roulette rules and pitfalls, and a self-abandoned novice who is used to rely only on luck without knowing about the basic structure and principles that the game is grounded on. Usually, such kind of players does not care of the size of roulette house edge as opposed to experienced gamblers who put this concept in the center of their strategy concern. Moreover, there is a common deep-rooted mistake for newcomers in roulette game: a lot of them believe sincerely that if they betting on 'house numbers' (which are the green numbers - a single zero and a double zero positions on a roulette wheel) provides them with an additional advantage over the House. In reality the situation is exactly the opposite, these green numbers are associated with the advantage of casino as they represent house edge. In any case, the probability of hitting these two positions is exactly the same as hitting any other number on a wheel.